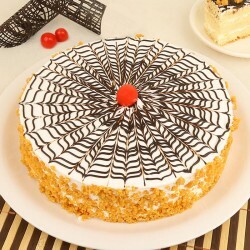 Weave a web of affection and warmth around the people you love the most by sending them sumptuous cakes in Allahabad, no matter how distant you are. Our freshly baked cakes are prepared to please a seasoned sweet tooth and stand the test of taste and flavours beautifully. 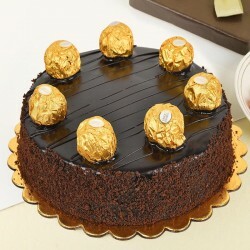 We offer timely delivery of cakes at reasonable pricing all over the city. Fun and frolic are signature features of the vibe that Allahabad as a city exudes. It is a warm locale that takes pride in its hospitality and cordiality. 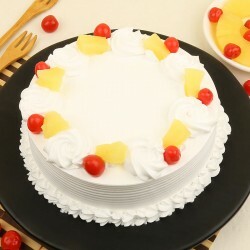 MyFlowerTree offers cake home delivery in Allahabad. 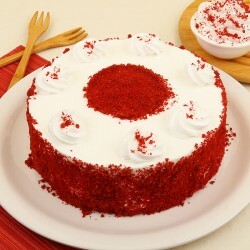 There is no need to look for cake delivery shops in Allahabad when you have us at your service. Choose from a wide range of cakes from the comfort of your home/office through our user friendly website and choose an appropriate delivery time. After adding necessary details and in few simple steps make the payment. Next step: Sit back and relax, while we do the rest for you. 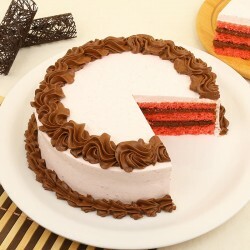 Do not fret when it comes to cake delivery to Allahabad when you have us. Order yourself a small treat in the form of a decadent and creamy half kilo cake on the appraisal you get at work. 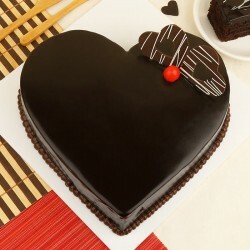 Our variety of cakes is vast enough to include edibles for all sorts of occasions. 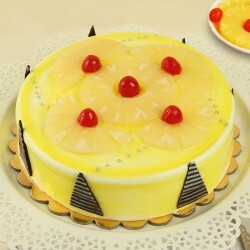 We source freshly baked cakes from most renowned bakeries in town. Make every occasion grand as can be with our classic cake flavours like Vanilla, Chocolate, Butterscotch, Strawberry and Pineapple. 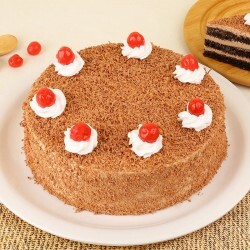 We offer sugar-free cakes to tickle the taste buds of diabetics and the creed of health conscious people. 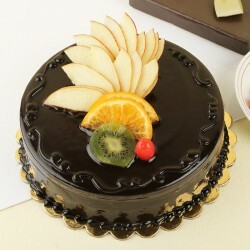 Our range of exotic cakes is perfect to bring wide grin on the face of dear ones. 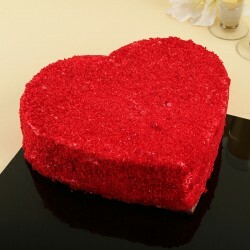 Our luscious Photo cakes are perfect when you are thinking of sending a personalised gift to your loved ones. Choose any cake from the plush range of Photo cakes and add the photo you want printed on it to customise it. A personal picture can be a sweet reminder of good times that you have shared with a loved on and will be a welcome surprise for them. Think of theme cakes when organising a theme centric party, and choose from our cartoon inspired, ocean inspired, fiction inspired, sports inspired and other theme cakes. A distinguished creed of cheesecakes on offer are available on our website, that make perfect elegant giveaways for every occasion big or small. 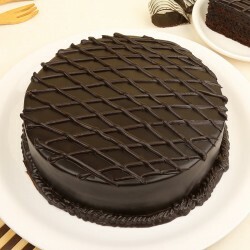 Avail birthday cake delivery in Allahabad and make a friend feel special with our range of 5 Star cakes, sourced from premium bakeries in town. 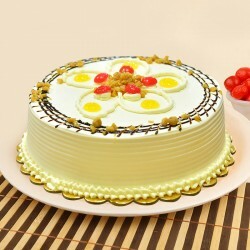 As more and more people turn to vegetarianism, eggless cakes have become a fad. 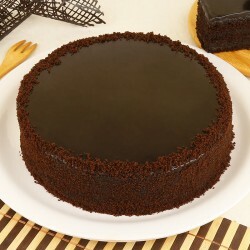 You can also opt for eggless versions of your favourite cakes with us for nominal pricing. No matter how late you got when it comes to conveying your wishes on a special occasion. 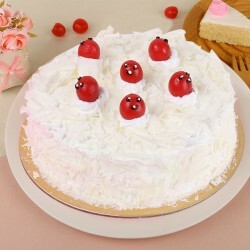 Be your spontaneous self by availing same day online cake delivery in Allahabad to surprise your baby sister. 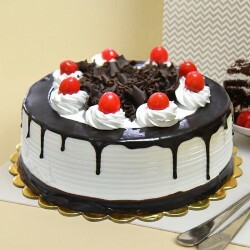 Why settle a warm birthday wish with just one phone call, when we can also help you with midnight cake delivery in Allahabad. 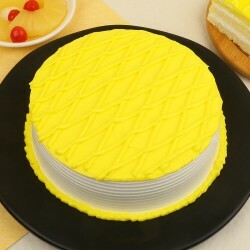 With us at your service, you can order a cake for next day, same day and midnight delivery easily. 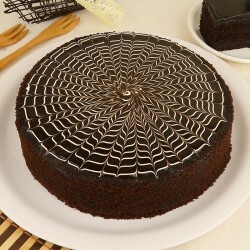 We acknowledge the trust you place in us when you sign up for a cake home delivery in Allahabad. We pledge to never disappoint you and thus offer good quality products are justified pricing. We deliver on all special occasions like Rose Day, Valentine Day, Raksha Bandhan, Diwali, Chocolate Day, Mothers Day, Fathers Day and others too. 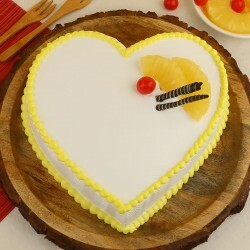 MyFlowerTree allows you to plan and execute a surprise for a loved one, without necessarily burning a hole in your pocket, with cakes that suit every budget. Log on to our website and start drooling for cakes right away.